The ministry of agriculture, foods and fisheries has Sponsored the Junior Achievement program with EC$72,000 which will go toward the JA Grow project. 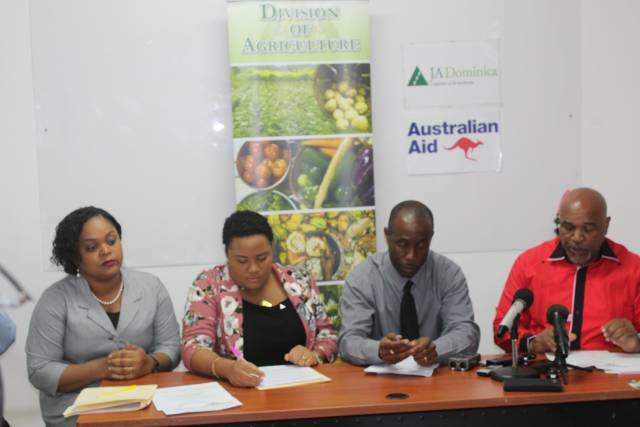 The pledge was announced the official signing ceremony of the Memorandum of Understanding (MOU) between JA Dominica and the Ministry of Agriculture, Food & Fisheries which was held at the Botanical Gardens conference room on Monday 11th February. The grow project is a movement which solely focuses on implementing agriculture in schools. Hon. 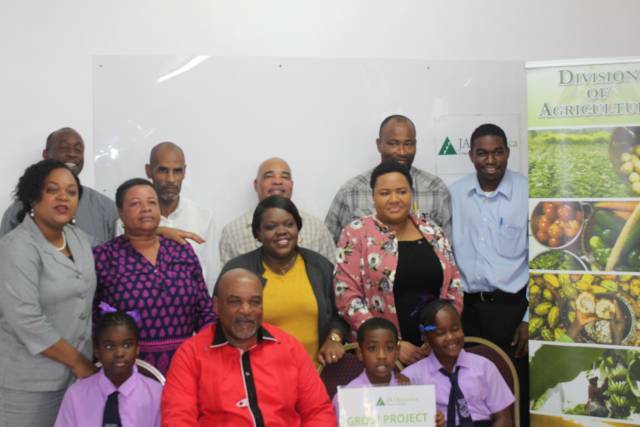 Minister and Minister for agriculture, Food and fisheries, Reginald Austrie expressed his willingness to be part of the Grow project and stated that he looks forward to seeing more of the youth involved in agriculture in Dominica. He went on to say that being the agricultural minister has placed him in a challenging position, where he was dissatisfied and “unhappy” with the lack of interest in the agriculture , especially involving the youth and the labor shortage in such field. “I recognized that there was a lack of passion for agriculture. You see, to be good at anything you have to have a passion for it, because you love to do it and you want to do it. Not because there is nothing else to do. Because when decisions are made due to you not having a choice in that matter, you will never put your hundred percent towards it,” Hon. Reginald Austrie said. Mr. Austrie further explained that one of his plans as the agricultural minister was to involve all schools in agriculture, and so sharing same sentiments with the Junior Achievers, he decided to join the Grow Project, assuring them that the government of Dominica is fully on board. The donation of $EC72,000 is the first donation being made by the government toward the JA grow Project, however, Hon. Reginald Austrie promises that that more assistance is expected to be provided.